Furring channel is a hat-shaped corrosion-resistant framing component used in furring out masonry walls and ceilings. In concrete wall applications, furring channel is installed vertically to the wall surface using concrete nails or power-driven fasteners. Gypsum panels are then screw-attached to the furring channels. 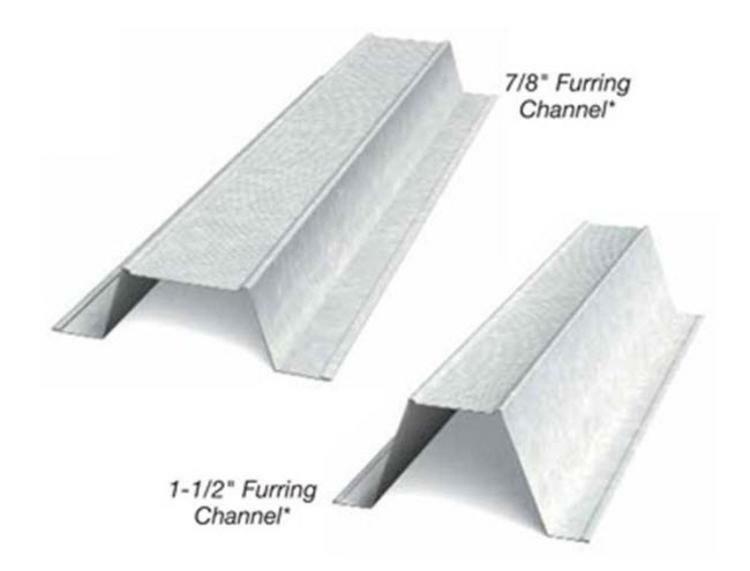 In dropped ceiling applications, furring channels can be attached directly to the underside of the building structure using furring channel clips, tie wire, screws or power-driven fasteners. Heavier gauge furring enables greater spans and loading capacity.